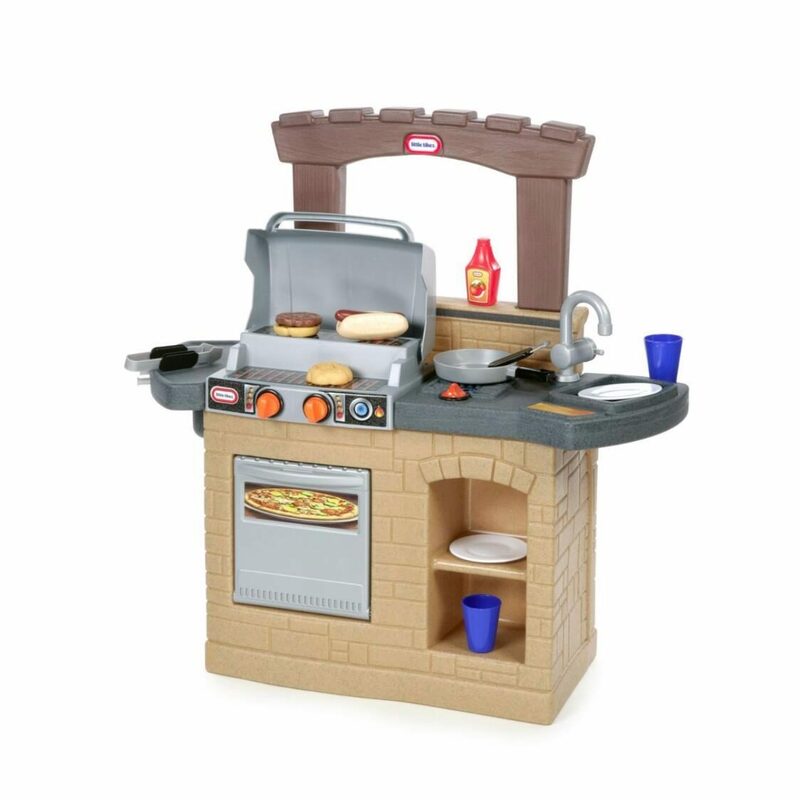 The traditional play kitchen gets a new twist as an outdoor toy grill - the Cook 'n Play Outdoor BBQ! Kids can have their own pretend cook out - a great way to develop social and sharing skills in an active play format. The play food set includes a hamburger, hot dog and grill utensils. Imaginations will grow with this featured filled BBQ!